So here’s rooting for a major upset – a show of fairness and compassion by the lords of the sport although they’re unlikely to benefit financially from it. 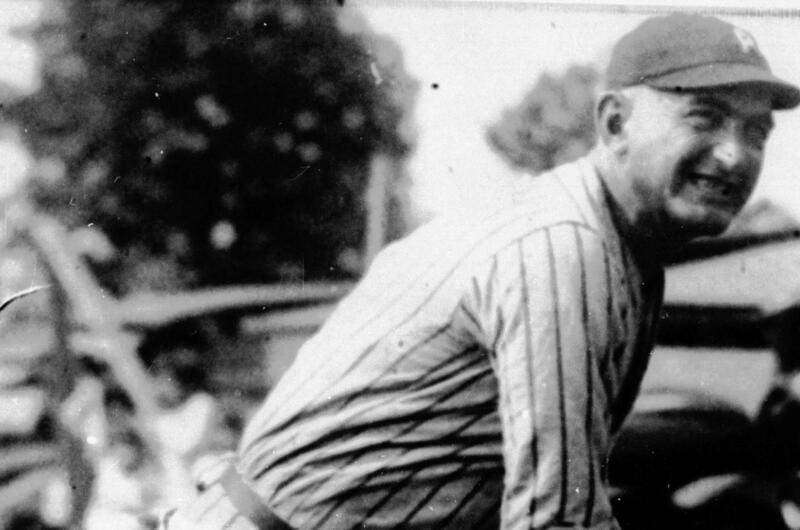 Here’s hoping MLB commutes its eternal banishment of Weaver, who was present when White Sox teammates conspired to fix the 1919 World Series against the Cincinnati Reds but wasn’t one of them. If MGM Resorts International can be welcomed into baseball as “Official Gaming Partner of MLB,” why must Buck remain on the outs? Shoeless Joe, too, may be due a formal review Commissioner Rob Manfred has thus far denied him. Long dead, they surely deserve the same consideration enjoyed by, say, Alex Rodriguez, formerly a pariah and now tacitly endorsed as an analyst on two networks despite making a mockery of prohibitions on performance-enhancing drugs and efforts to crack down on same. Then, and only then, can Manfred and the rest of the game’s leadership look upon their gambling deal with a clear conscience. Wagering, legal or not, has been a driving force behind the popularity of major sports in this country from the beginning. The 1919 World Series was not the first incident of gamblers exerting influence on the game. It may not have been the last. But when a Cook County grand jury returned indictments against eight members of the ’19 Sox in September 1920, team owners and league presidents were pushed to act to restore the sport’s integrity. Judge Kenesaw Mountain Landis was appointed the pro game’s first commissioner, given free rein and total power. Before the 1921 season, Landis suspended eight players from the ’19 Sox – Weaver, Jackson, Eddie Cicotte, Chick Gandil, Swede Risberg, Lefty Williams, Happy Felsch and Fred McMullin – in response to a report their court case would be delayed. The acquittal of seven of the players in August 1921 (McMullin wasn’t tried with the others) left Landis unmoved, and he kept the bans in place. There are conflicting reports about Shoeless Joe’s involvement in the fix, or even whether he was literate enough to know what he was implicated in. He swore under oath before the grand jury he accepted a $5,000 payment from gamblers, but he later recanted and maintained his innocence the rest of his life. If the proof is in performance, well, Jackson led all hitters against the Reds with a .375 average, hit the only home run and committed no errors. He did hit worse in games the Sox lost and at times wasn’t quite himself in the field. Sox pitcher Williams, who went 0-3 against the Reds, said that while Jackson’s name was dropped to impress gamblers, he wasn’t at any of the meetings with gamblers. All of baseball today is associated with the gambling business, thanks to the MGM Resorts International deal, making the sport’s steadfast refusal to reconsider at least Weaver – and perhaps Jackson too – seem a wee bit hypocritical. The sacrifice has long been part of baseball, and these men were called out. One hundred years later, it’s high time for a review. Published: April 11, 2019, 9:34 p.m.